Dinosaur Tattoos and an in progress tattoo. Things are going well and I am becoming more selective with the projects I take on. No matter what I always love to do tattoos of dinosaurs. 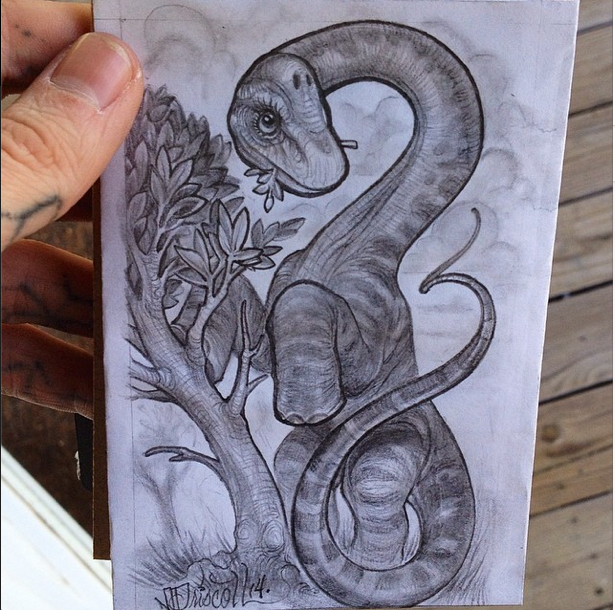 Below is a sketch of a Brochiosaurus that could make for a really cool tattoo. If you are interested feel free to message me through my contact form. 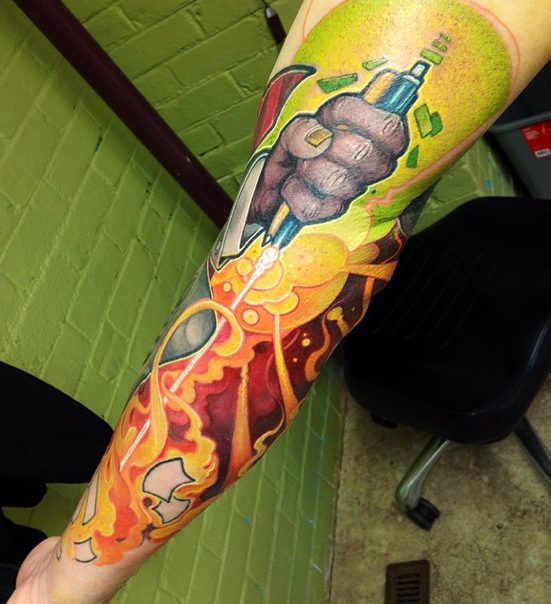 Also is a quick teaser of a sleeve I've been working on. I'll have a big upload in a couple of months when I get good pictures of all the finished up work from the winter season. I'll be doing another update later next week with travel plans with include some time in Fort Wayne, TN. If you are looking for a custom dinosaur tattoo around Studio 13 stay tuned!